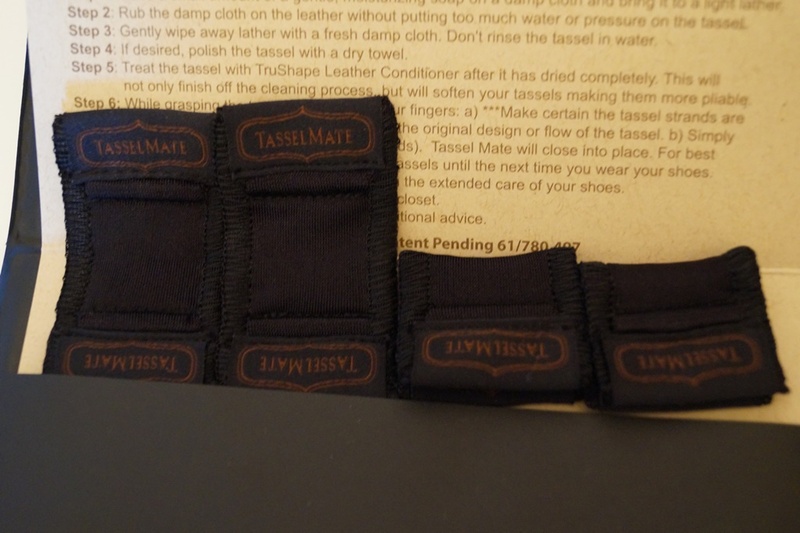 I was recently introduced to the concept of Tasselmate, a brilliant yet simple product that allows you to fix your mangy, curled up tassels in some very easy and quick steps. 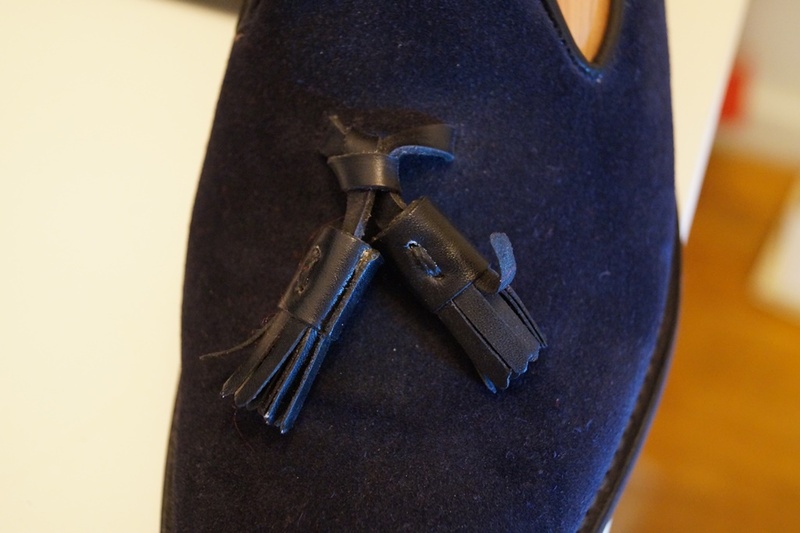 I never really thought about needing to have to do this as my first ever tassel loafer has just been acquired recently when I made myself of sample of my new Ravenna model. 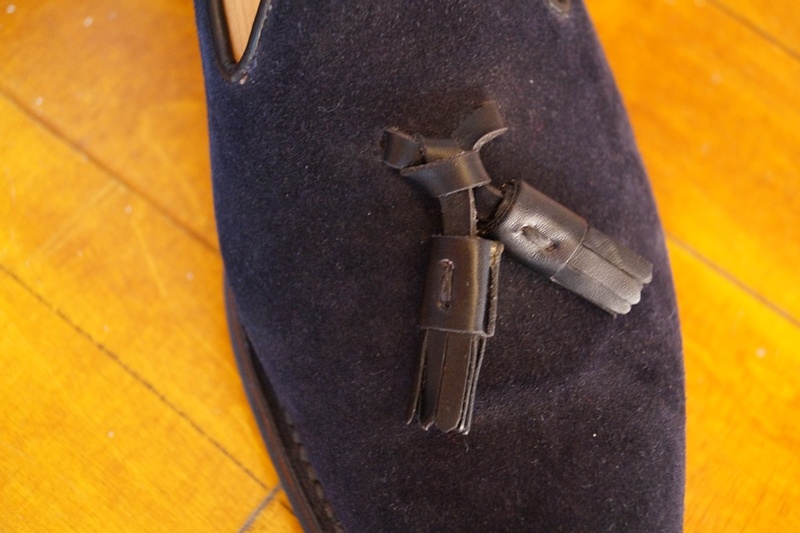 However, after wearing them a good amount of times, one of my tassels on just one of the shoes started to do its weird curl up and as I am not a fan of having them look like that, needing to do something about it. 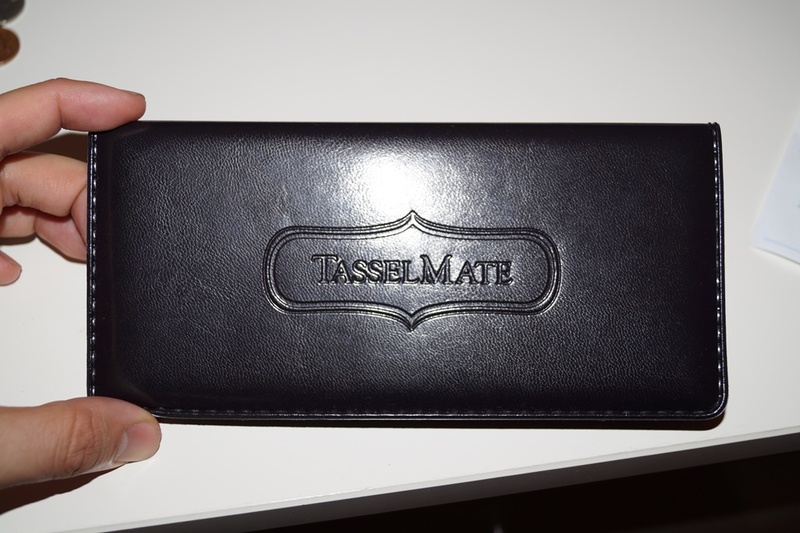 Luckily for me, Tasselmate came knocking on my door to test our there product. As I have always been intrigued in how to successfully sort this issue out, I was pleased to be a tester of the product. I was quite surprised how nice the presentation of it was. For only $25, it’s almost like you are getting the product free, as its leather case could double as a money holder and would probably cost more than that if it would have been sold that way by some other company. 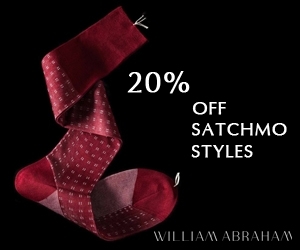 Nevertheless what I liked most about it all was literally how simple and effective it was. 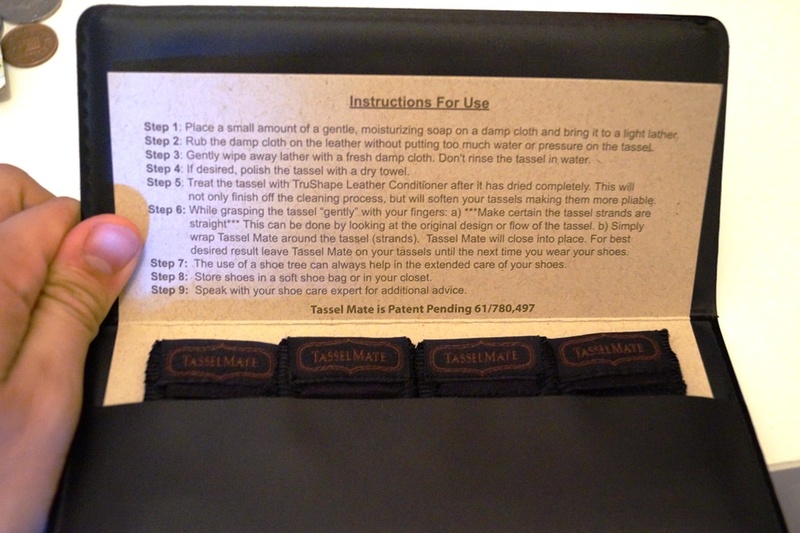 It takes about 5 seconds of actual work to get through: washing the tassels with a warm rag with moisturizing soap. 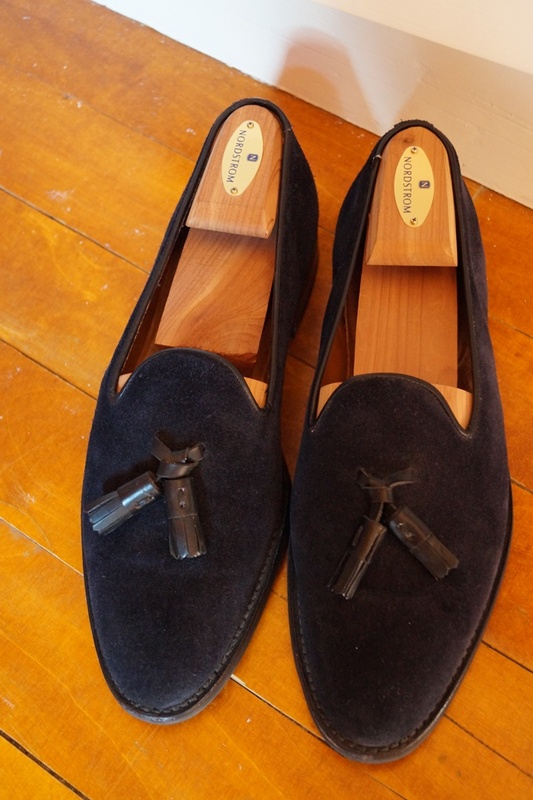 Then allowing to dry and apply a conditioner, either way they sell or something as simply as my mink oil conditioner which is what I used. 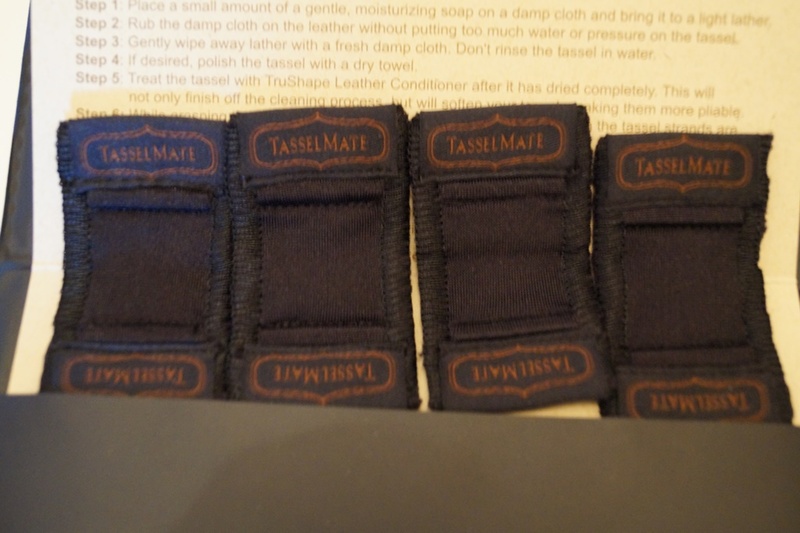 After that you apply the Tasselmate grips and let them do their magic. Easy as 1,2,3! 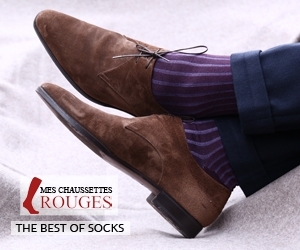 I think that the minimum amount of time to leave them on would be overnight but they suggest leaving them on until the next time that you wear the shoes. 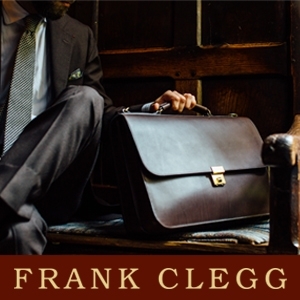 The longer the better makes sense as they need time to undo what had been done and straighten that leather back into place. 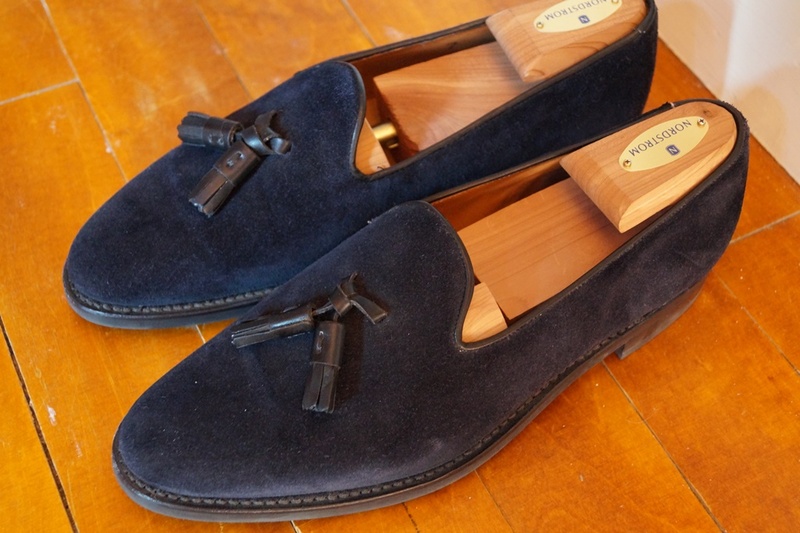 But as you can see from the pics below, they do the trick and do it well. 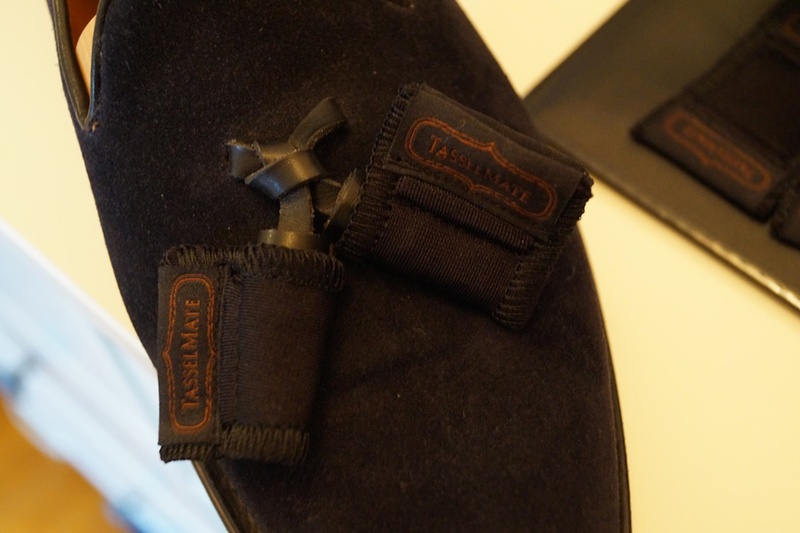 No more curly tassels ever again and now the world can rest peacefully….! 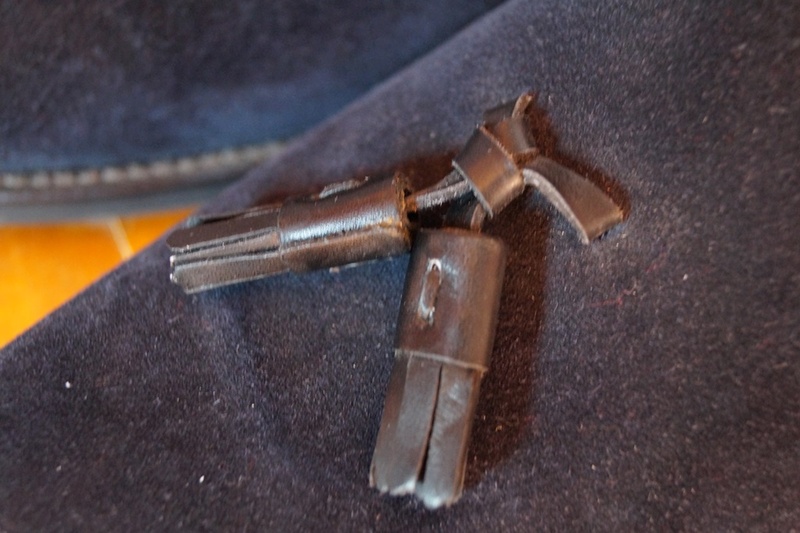 I’ve been doing much the same with Saphir Renovateur and Velcro-backed cable ties. Clean, condition, and wrap. A wider wrap like this should be even better, the Velcro ties are just big enough to cover the whole fringe, but not the base. 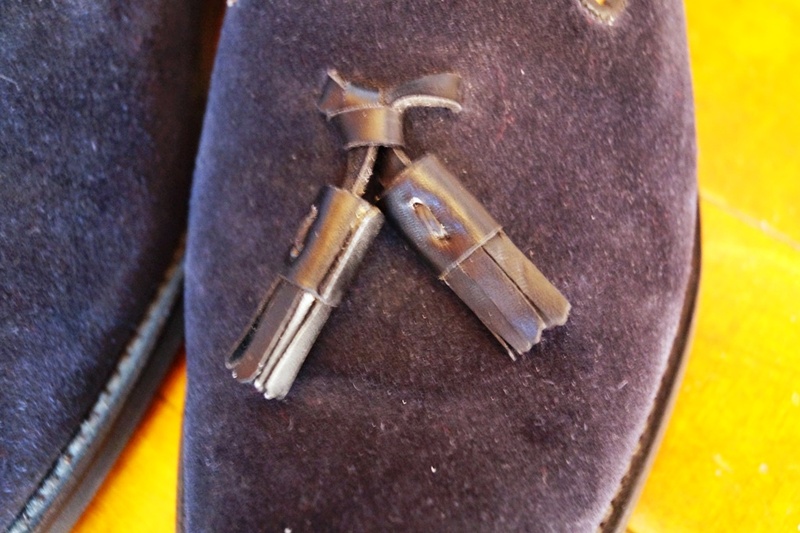 Where can one procure replacement Tassels for Burgundy Loafers?